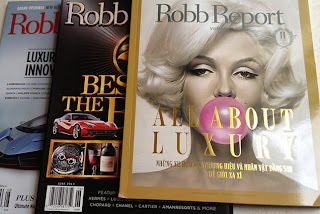 Michael just received the exclusive Robb Report issue from the Singapore/Vietnam editor. 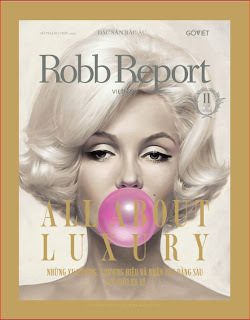 His Pop Artwork “Marilyn Bubblegum” graces the cover of the ultra luxury magazine special Anniversary Edition. Michael is the second Pop Artist on a cover of Robb Report after Andy Warhol. 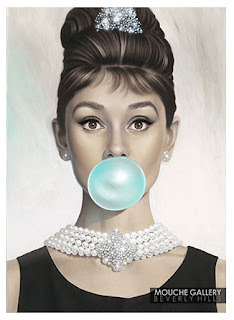 Michael Moebius’ Pop Art “Marilyn Bubblegum” graces yet another magazine. This month he adorns the cover of Robb Report in Asia for their Anniversary Special Edition. “For over 30 years, Robb Report magazine has served as the definitive authority on connoisseurship for ultra-affluent consumers. Robb Report not only showcases the products and services available from the most prestigious luxury brands around the globe, but it also provides its sophisticated readership with detailed insight into a range of these subjects, which include sports and luxury automobiles, yachts, real estate, travel, private aircraft, fashion, fine jewelry and watches, art, wine, state-of-the-art home electronics and much more. For connoisseurs seeking the very best that life has to offer, Robb Report remains the essential luxury resource." Happy Birthday to Robb Report Vietnam!